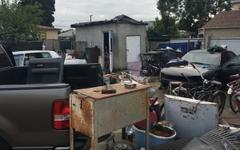 #LASD Norwalk Station Dep's Strive to Improve the Neighborhoods they Serve - Drugs Seized, 2 Arrested, House Boarded! Norwalk Station personnel are committed to the communities they serve. In an effort to make this neighborhood a safer place, deputies and LASD Narcotics detectives served a search warrant at a residence on the 11900 block of Hayford Street in Norwalk, Thursday, June 7, 2018, at approximately 7:00 a.m.
Detectives arrested 2 suspects in possession of narcotics. They both lived at the location. Due to this being an on-going investigation, the suspects information will not be released at this time. A large amount of drugs were seized at the location. The street value of the narcotics was approximately $2,250.00. 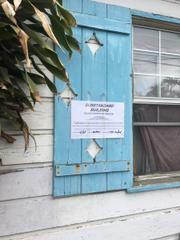 The City of Norwalk and Code Enforcement started their own investigation, and boarded up the location due to the unsafe conditions and health hazards. This was great teamwork by all involved!